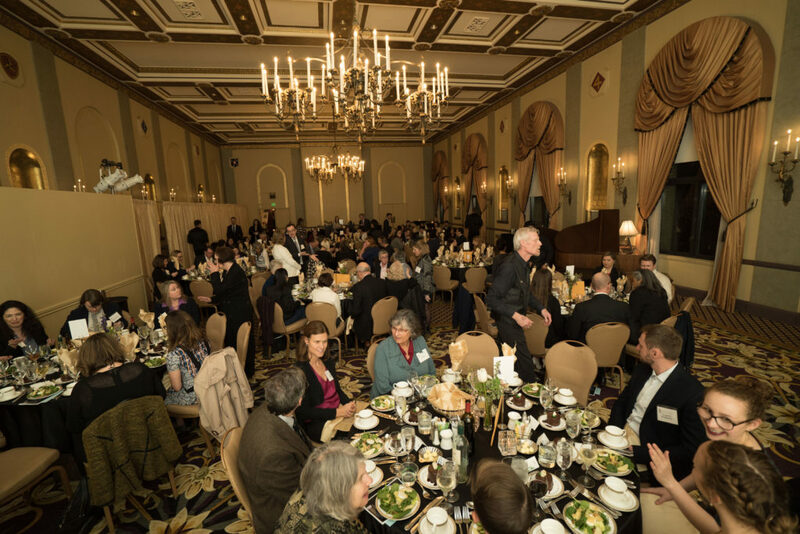 On March 8, 2018, over 120 attorneys, judges, and gender justice activists attended a gala dinner in San Francisco to celebrate IANGEL’s fifth anniversary. 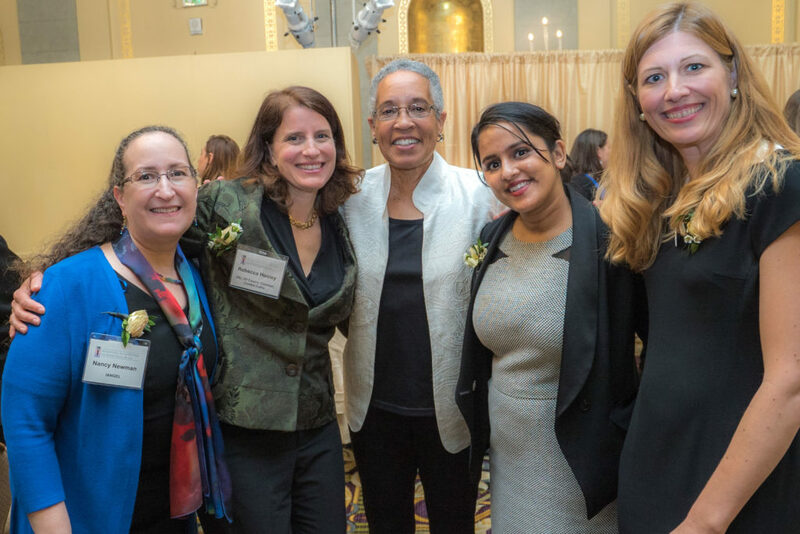 The dinner, aptly titled “Beacons for Change,” featured two remarkable trailblazers for gender equality in law and society, the Honorable Angela Bradstreet, IANGEL’s Rights and Leadership awardee, and the Honorable LaDoris Cordell, our keynote speaker for the evening. The night was glittering for this festive event, a perfect way to mark International Women’s Day for 2018. 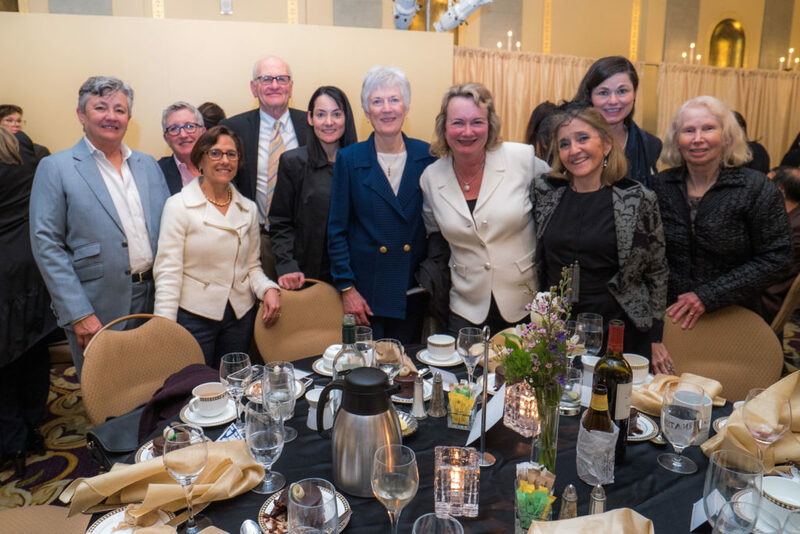 Nancy J. Newman, IANGEL founder and board president, reflected on IANGEL’s journey, and why its work is now more important than ever. She shared that she founded IANGEL because her search for a non-profit that harnessed the power of pro-bono attorneys to advance the rights of women and girls globally left her empty-handed. Since its formation, IANGEL has worked for change on dozens of projects with thousands of donated attorney hours. Despite outrage that the world has seemingly gone backwards on the path to equality in recent years, Nancy urged the audience to change what we cannot accept. She announced that IANGEL has named its Rights and Leadership Award after Amel Zenoune-Zouani who was doing just that when she was murdered for refusing to quit law school in Algeria despite being ordered by Islamic fundamentalists to do so. 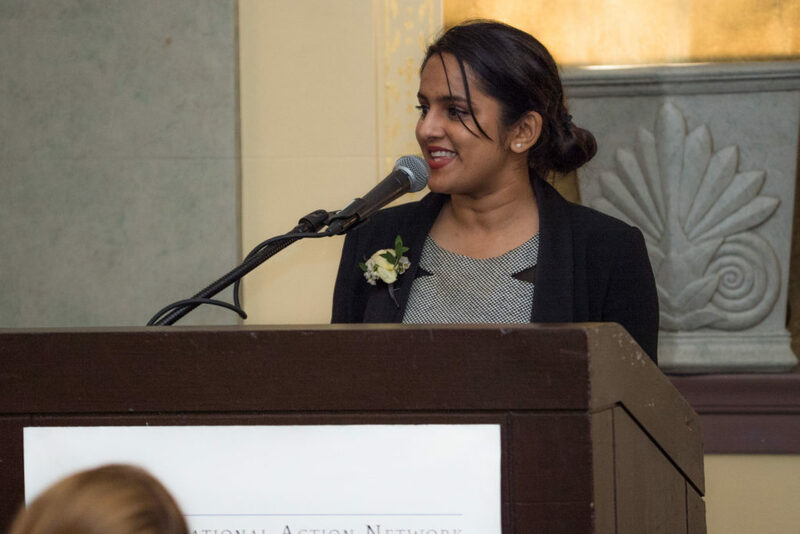 By naming this award after Amel, IANGEL is using her memory as a form of resistance in the hope of channeling the sadness of her story into action. 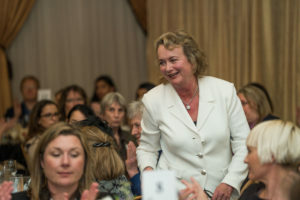 Ms. Newman’s comments motivated attendees to resist the status quo “joyfully,” with love, with courage, and with fierce, relentless determination. 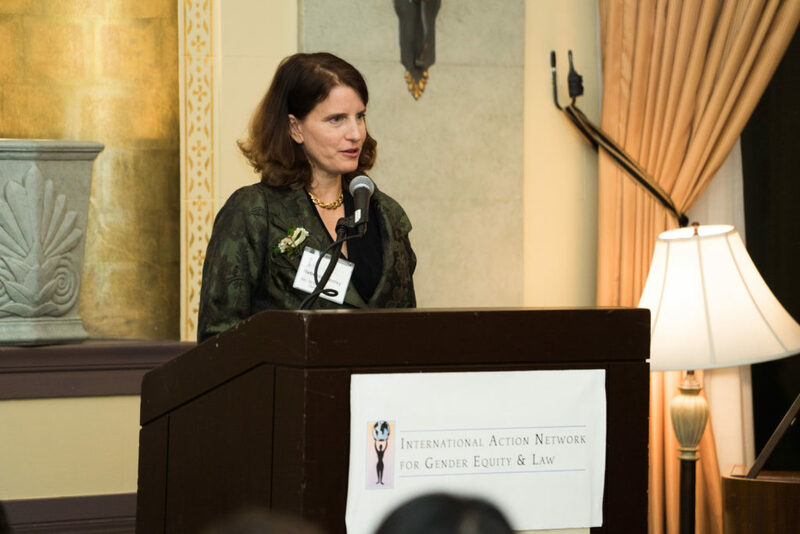 After Ms. Newman’s poignant comments, we were delighted to award the Honorable Angela Bradstreet with IANGEL’s 2018 Amel Zenoune-Zouani Rights and Leadership Award. 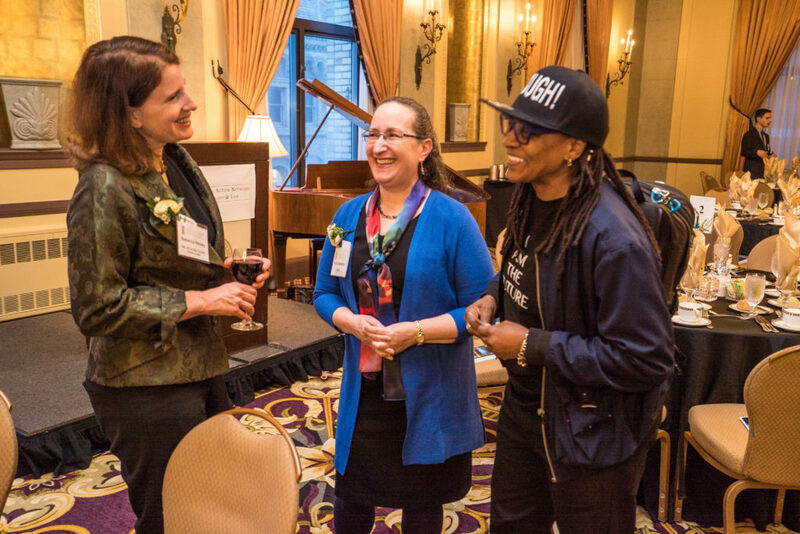 Judge Bradstreet was introduced by past IANGEL awardee Andrea Carlise, who noted her outstanding leadership for equality in the legal profession, her unwavering championing of women’s rights and being a leading voice for LGBTQ equality. 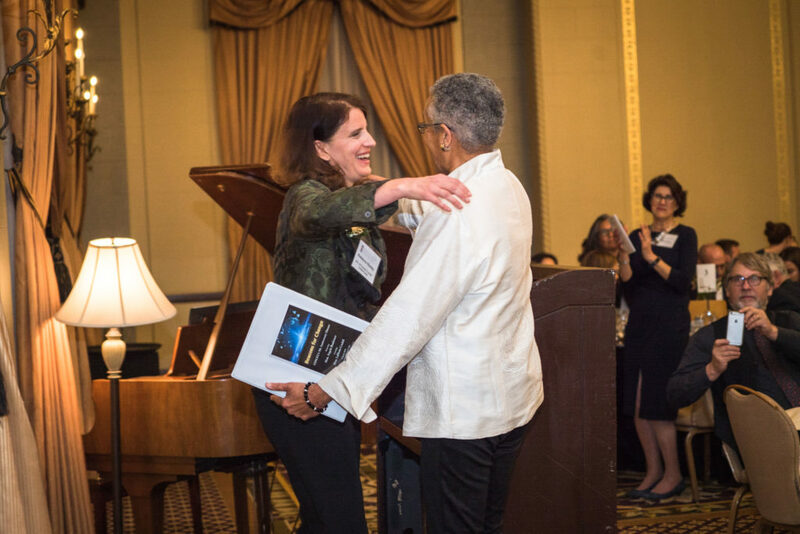 In accepting the award, Judge Bradstreet highlighted the network of support and mentorship she received from so many lawyers and judges who were also dear friends. These relationships, she explained, supported her as she broke barriers and pushed for equality in law and society, and they inspired her own efforts and determination to pass the mentorship forward. The keynote address was provided by another beacon for change, the Honorable LaDoris Cordell, the first African American woman on the bench in Northern California, and an amazing advocate, artist, pianist, and writer. Judge Cordell emphasized the importance of increasing the number of women on the bench so that the judiciary reflects the diverse perspectives of the parties to its proceedings. Women, she advised, provide a vital perspective to the judiciary’s decision-making. Judge Cordell addressed the importance of protecting judicial independence in the wake of organized judicial recall efforts based on unpopular decisions. 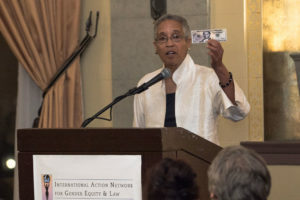 In concluding, she delighted the audience by handing out $20 bills to all featuring Harriet Tubman, the noted abolitionist, in place of racist president Andrew Jackson. The evening was capped by the moving singing of Marcelle Dronkers, joined by singers Michele Voilleque, Mark Walstrom, and Jennie Walstrom, performing the apt and uplifting anthem “Rise Up.” With this song, the audience felt the joy of music, the inspiration of poetry, and the joy of being united in the determination to build a better world. It was a wonderful evening. 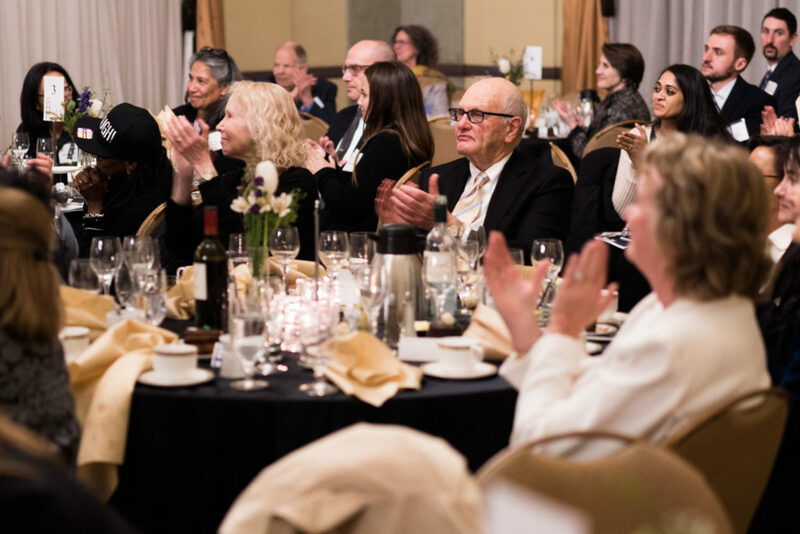 IANGEL is deeply grateful to generous gala Gold, Silver, and Bronze sponsors: Hanson Bridgett; John Chiatello & Lorraine Fedorak, Greenberg Traurig; and Keker, Van Nest & Peters, additional Trailblazers and Catalysts, the magnificent Marcelle Dronkers, and all who attended the event and continue to support our work. 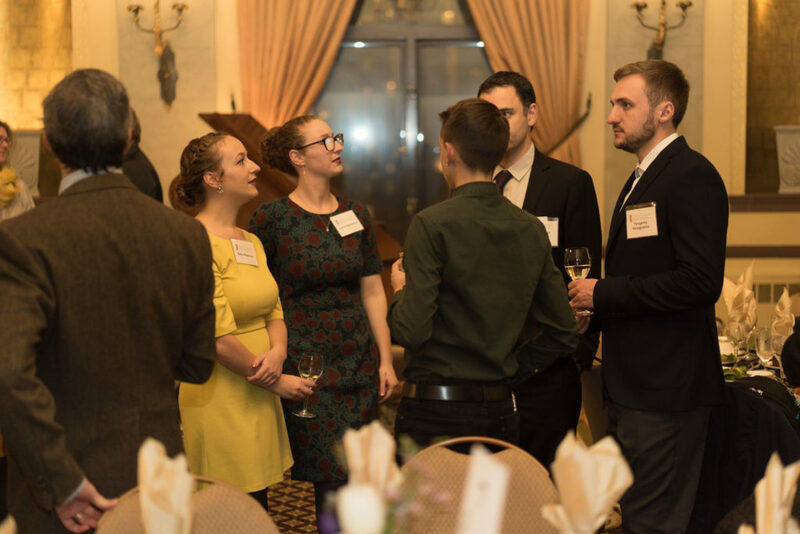 The road to equality is long and tortuous, but the connection, warmth, and inspiration provided at this event will light our way forward.